Workshop will be hosted by FERA’s Slovene members AIPA & DSR from Thursday Feb 2 at 2pm, to Friday Feb 3rd at 6pm at the Best Westrn Premier Hotel Slon (map). On the occasion of President Juncker’s 2016 State of the European Union address to the European Parliament on September 2016, the European Commission set out proposals on the modernisation of EU copyright legislation. This was a key step towards acknowledging the central role that audiovisual authors have to play in growing the Digital Single Market, and in promoting European cultural diversity. Audiovisual authors representatives in Brussels therefore welcomed to the Commission’s recently published proposal for a Directive on copyright in the Digital Single Market, notably its provisions for enhanced transparency through a mandatory reporting obligation in contracts, and a contract adjustment and dispute resolution mechanisms. This represents a significant step forward in a rebalancing of the EU copyright regime towards fairer terms for authors like audiovisual directors, who are at the origin of all audiovisual works. However, in order to turn the promise of fair remuneration for authors into a practical reality, the Commission’s proposals needs to be significantly strengthened, particularly to address the specific challenges of audiovisual authors to share in the economic success of their works online. 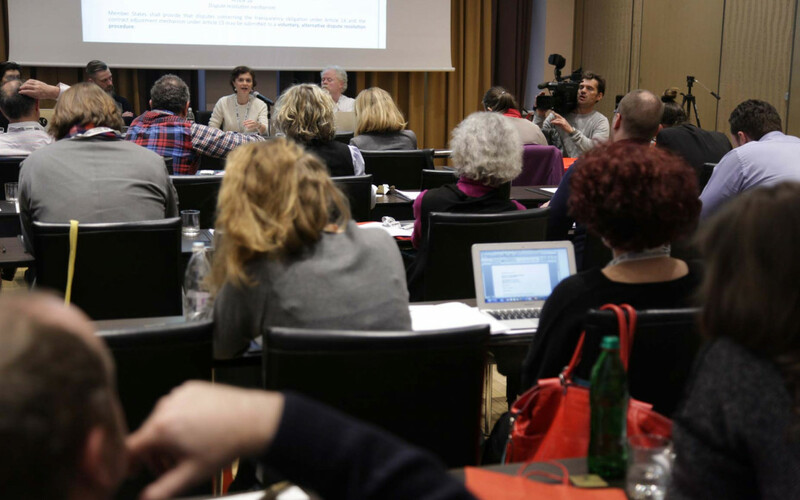 These are essential issues to stabilize the working lives of European audiovisual creators. The FERA workshop in Ljubljana is hosted by Slovene members DSR (Directors Guild of Slovenia) and Zavod AIPA, in association with SAA (Society of Audiovisual Authors) and FSE (Federation of Screenwriters in Europe), aims at informing on the EU copyright modernization process to find the best ways to strengthen authors’ rights at national and EU level, which will in turn strengthen Europe’s creative economy, in a virtuous circle that will lead to more works, more economic growth, and greater cultural diversity.